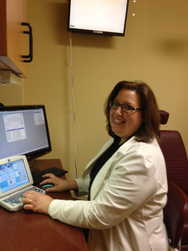 Dr. Kathleen B. Moore has been in private practice since 1987 diagnosing and treating disorders of the eyes and visual system in patients of all age groups. A native of Fairfax County, she received a Bachelor of Arts in Biology from the University of Virginia, and graduated with honors with a Bachelor of Science in Theoretical Optics and a Doctorate of Optometry from the Pennsylvania College of Optometry. Dr. Moore was awarded for excellence in contact lens studies and was elected to Beta Sigma Kappa, the National Honor Society. Her research on contact lenses has been published in the Journal of the American Optometric Association and she is past President of the Northern Virginia Optometric Society. Dr. Moore believes that the healthiest patients are the most informed patients and does not hesitate to answer any questions. She is available for consultations.